Welcome to our Grand Hilltop Villa! 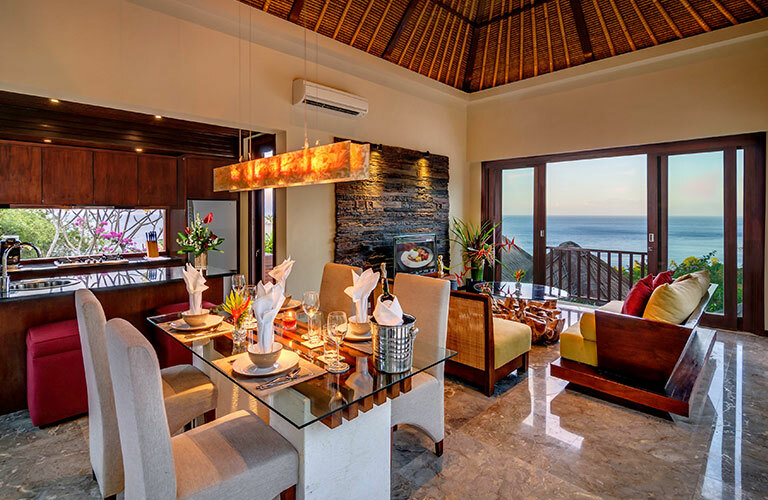 This, one and only, Three Bedroom Villa is located on the top level of the resort overlooking the entire resort area and offers gorgeous ocean and mountain views. 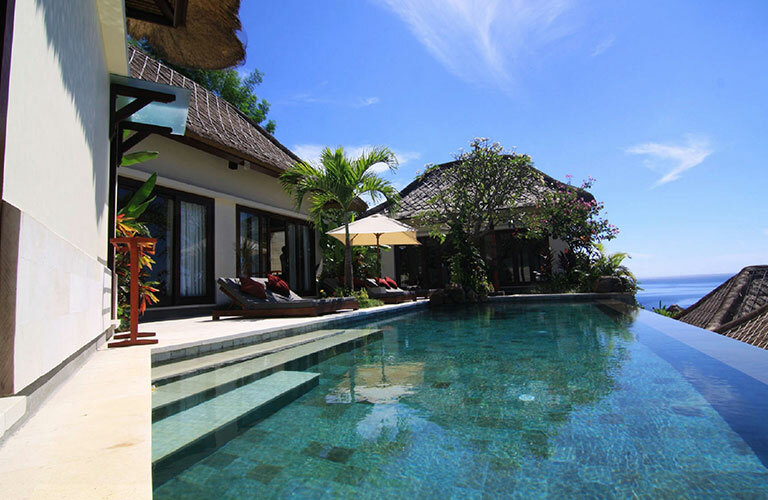 You’ll undoubtedly find that the large 12-meter private infinity pool and ample pool deck area make this villa just perfect for enjoying quality time and togetherness with your extended family or special group of friends. 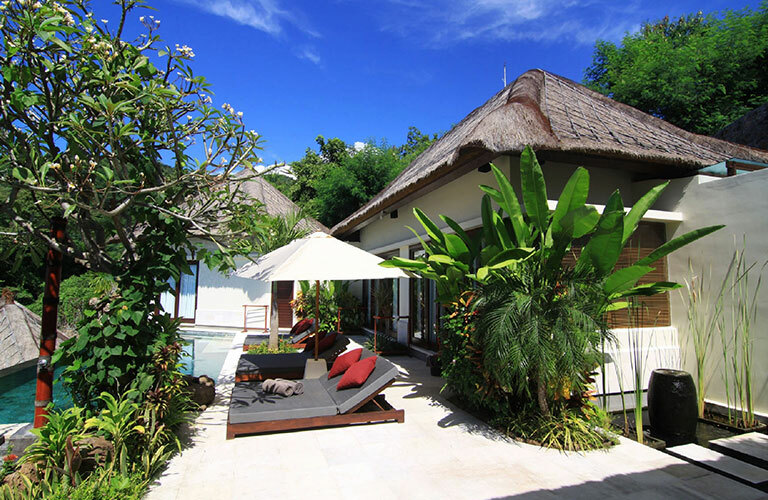 This villa is also well suited for private parties, such as birthdays or a small wedding party. 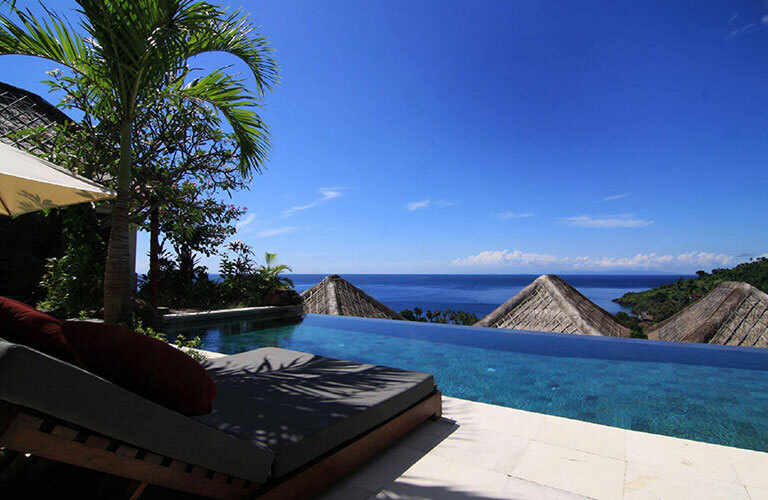 Your villa can be a haven, a retreat, just for you and your family. You determine the level of privacy. 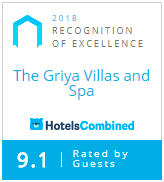 Feel free to stay in and enjoy all the amenities we offer, or go out and explore the best of what East Bali has to offer.